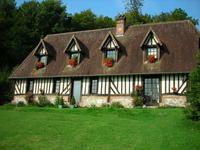 Character Norman farmhouse with a beautiful parkland on the edge of a peaceful country village close to Rouen. This 19th c. traditional property (old wine press) restored with care and style, offers a . . . This fully restored character property offers a large 4-bedroomed family home with a . . . Luxury estate on over 66 acres of land with lake of 37 acres that has been used as a . . . 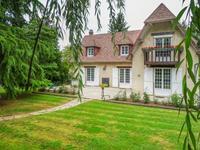 Situated near a small picturesque village a 10 minutes drive from Damville in the département . . . 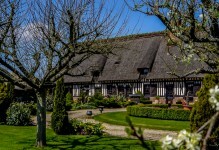 Located in the département of the Eure (27) in Higher Normandy with all accessible amenities . . . This is a bit special, only 7 kilometres from wonderful Honfleur, 50 metres from the only . . .
Geographically very close to La Neuve Lyre (4km) in the département of the Eure (27), a . . . This charming dwelling, in excellent condition and listed by Gîtes de France, is located only . . .
Geographically close to Damville (4km), a small trading town situated in the green . . .
A real opportunity to buy a home near Honfleur at a reasonable price. And a true family home . . . Built in 2009, it is in excellent condition with no work needed. The main living area is open . . .
Geographically situated in Higher-Normandy in the département of the Eure (27) close to the . 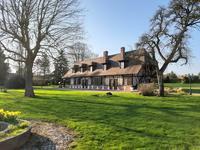 . .
Geographically located in the département of the Eure (27) in higher Normandy, 7 minutes away . . . 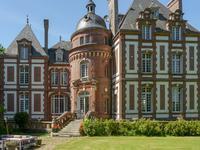 Located 5km away from the lively little town of Bernay in the département of the Eure (27) in . . . It is located near a very calm and residential hamlet, without any vis-à-vis, in a green . . . This comfortable home, magnificently renovated and maintained, is nestled in the green . . . 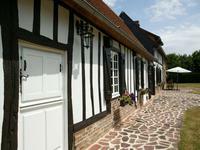 This romantic, little house on two floors is situated in Higher Normandy in the département . . . This superb authentic cottage built in 1709 by the last lord of the village, has retained . . . Magnificent colombage family home. Constructed using traditional materials but with modern . . . This ancient hunting lodge dating from the 18th century and once belonged to the Domaine of . . . This lovely home is located at the heart of a little trading town with numerous amenities . . . This lovely half-timbered home is located in the quaint and green departement of the Eure . . . 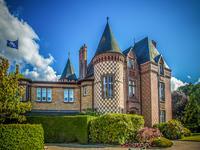 The chateau is an imposing building and is a very important part of the regional history. The . . . This former residence of the great composer and first conductor of the Paris Opera Henri . . . This traditional 19th century residence is located on the edge of the Avre River in a very . . .